I can't believe I'm been blogging consistently for the past 7 years! 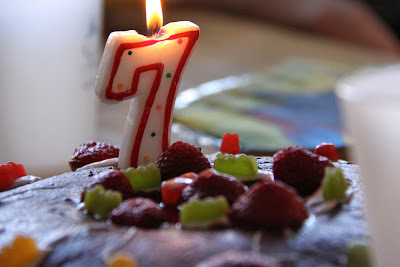 Today is my 7th Blogaversary, and not breaking with tradition I find a cake picture. (Previously blogaversary post & cakes: 1st, 2nd, 3rd, 4th, 5th, 6th). One of the things I wonder going into year 7 is how long I sustain this blog and if this year brings the end. I don't think that I will quit blogging, but I have to wonder. 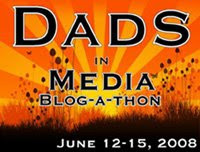 Over the past 7 years the blog-o-sphere has changed. Community: I personally have found blogging to be less interactive then in previous years. It seems that the "community of blogging" has diminished, surely much of that has been a drifting to other social networks. Whether that's people have moved their personal blogging to the Facebook experience, or if the micro-blogging rapid fire world of Twitter serves some readers and content makers better. I've specifically seen this in a decrease in comments and interaction in that regards. Most Popular Posts For Search: In terms of traffic, I've sensed a loss of some of the "community type" visitors, but continue to pick up tons of one time traffic hits. But the search-oriented hits land all over my blog, but sometimes I am disappointed that some of what I would consider some of my best posts are not the one's that get this type of traffic. Instead traffic goes to pages like "Pigs in Costumes." In fact, my most popular post of this past year was the post I did with a pictorial overview of Tom Hardy's films. Certainly not what I would consider my most unique and meaningful content. Relevant Film Conversation: This blog has never been strictly devoted to film, but film related content probably makes up at least 80% of the content. As my life has changed over the past 7 years one of the biggest changes as it relates to my blog content is my availability to see new releases as early or as frequently as I would like to talk about films as they come out. This fact has not hindered my ability to speak about upcoming films, but once they come out I am not always able to jump into the conversation how I might have at other times. Extending the Community Borders: I have taken StrangeCulture to twitter. You can find me there @StrangeCulture. My best content will still be here, but with 1000+ tweets today, I am paving out how StrangeCulture interacts in that space. Diversified Content: I will still continue blogging within the scope of many of my favorite series and themes. But I am freeing myself up to continue to expand my content and adjust my ratio of film blogging as I feel appropriate. Not sure what exactly this will mean, but it could mean more post related to social, political, cultural, or economic topics. Maybe even sports? Probably food? It also means I will continue to blog from the perspectives that I have, which include through the lens as a father & a Christ follower. Only When...: There are times over the past 7 years where I've felt a stress or burden to create content. My regular posting patterns over the past years have been a push to blog three-four times a week, and there has been months in the past year where I didn't hit the point that I wanted to hit, and it made me feel like I was dropping this ball. I fighting the 7 year itch by dropping the guilt factor, and instead blogging only when (1) I have time (2) Have Something to Say (3) Have Fun saying it. Thanks for hanging with StrangeCulture and here's to the year ahead! Have 7th blogaversary Strange Culture Blog! Congratulations! Seven years is a long time and I only hope I can last that long myself. I know I don't comment much, but I do love the work that you do!